When I am on keto, the one thing that I cannot be rid of is my sweet tooth. It is hard trying to stay in ketosis when you want to eat something sweet. Especially, since it usually involves carbs and sugar. That’s why this keto chocolate covered strawberry fat bombs hit the spot! These are great if you are just trying to stay in ketosis and need a treat or for a special occasion or, Valentine’s Day. If you’re going to have a treat day, I have other recipes like these Poop Emoji Cupcakes, Red Velvet Truffles, and keep an eye out for Valentine’s Day Rice Krispies Treats. Read on for the super simple, step-by-step guide to make these delicious keto-friendly fat bombs. 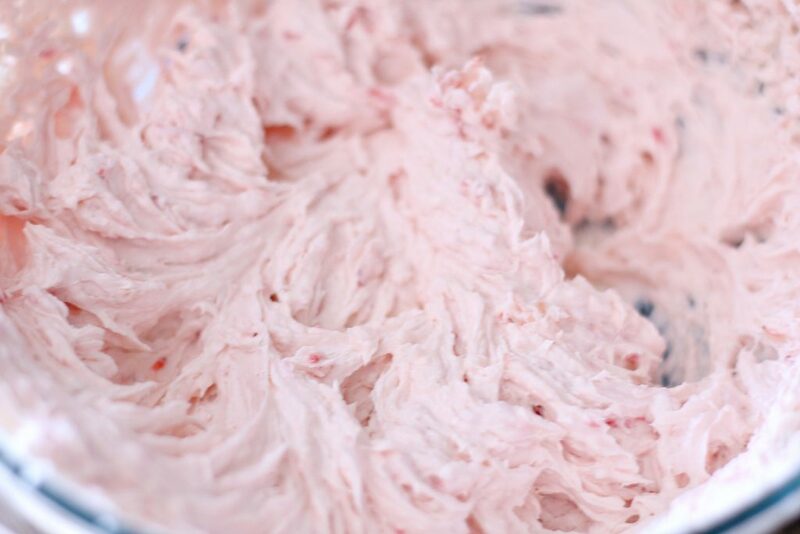 Start by beating your cream cheese with a mixer until it’s fluffy. 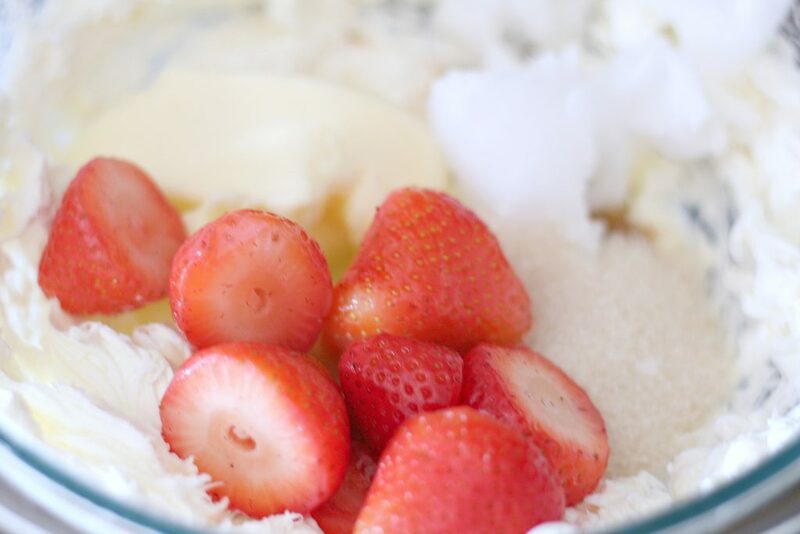 Add in butter, vanilla, swerve sugar, strawberries and coconut oil. Mix until well blended. Press mixture firmly into candy molds. Place in freezer for one hour. Pop out of molds. 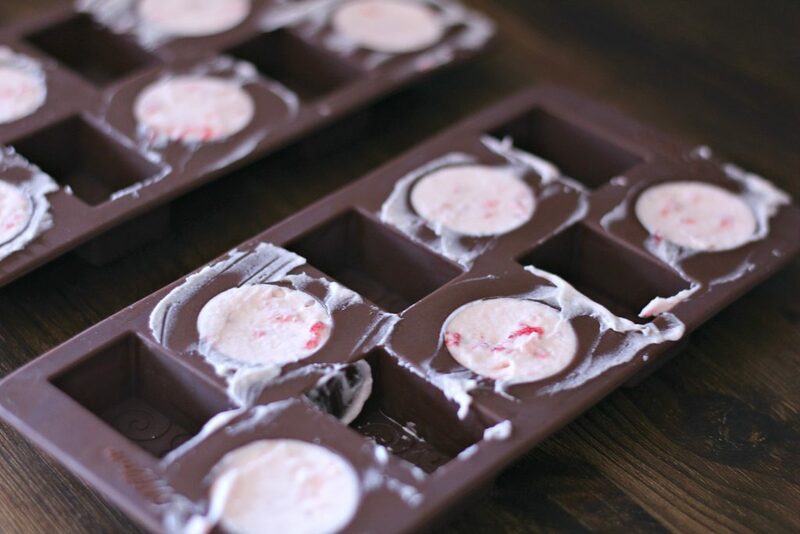 Melt chocolate down and drizzle over fat bombs. Freeze again for 10 minutes. Keto-friendly fat bombs. 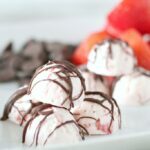 These chocolate covered strawberry fat bombs are perfect for whenever you have a sweet tooth or for a special occasion. You can't go wrong! Melt chocolate down and drizzle over fat bombs. If you have any leftover fat bombs, make sure to keep them in the fridge or freezer. Don’t leave them out because the fat bombs melt at room temperature. I’m telling you, I made a batch and they are so delicious! I have a batch in the freezer right now! These are great for a sweet tooth craving or for any special occasion. Valentine’s Day is right around the corner! If you’re looking for some treats to bring to the office or for kids school treats, check out these Poop Emoji cupcakes and keep an eye out for Valentine’s Day Rice Krispies Treats, and Red Velvet Truffles in the next few days. Do you enjoy keto fat bombs? Emily is looking for different kind of fat bombs. You get sick of one flavor and you just need a variety. This is perfect I can’t wait to try it. YUM! I’ve been trying to stick to a Keto diet for the new year. These looks so delicious. Thanks for sharing! I’m sure I’d enjoy these. I tend to love all things strawberry. They do look tasty, that’s for sure. 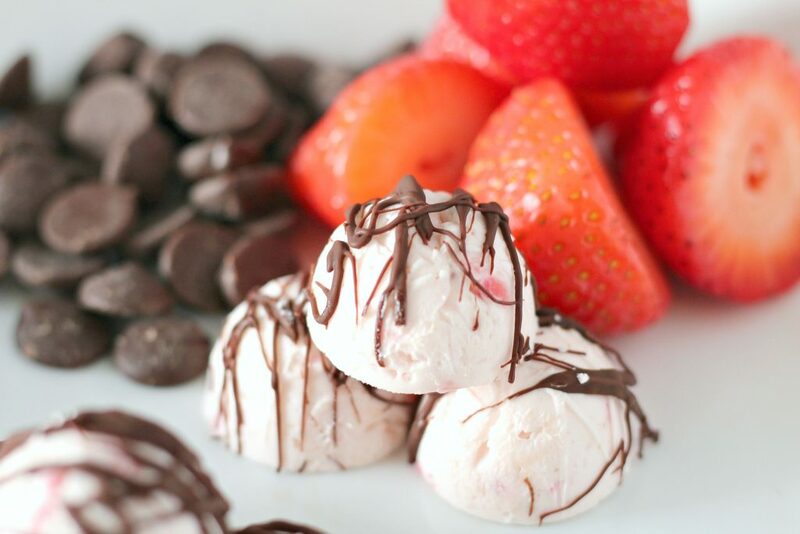 These look scrumptious and you can’t go wrong with a chocolate and strawberry combo. I’m not on the Keto diet, but I would still love to try these treats. Yes, they are still so good! 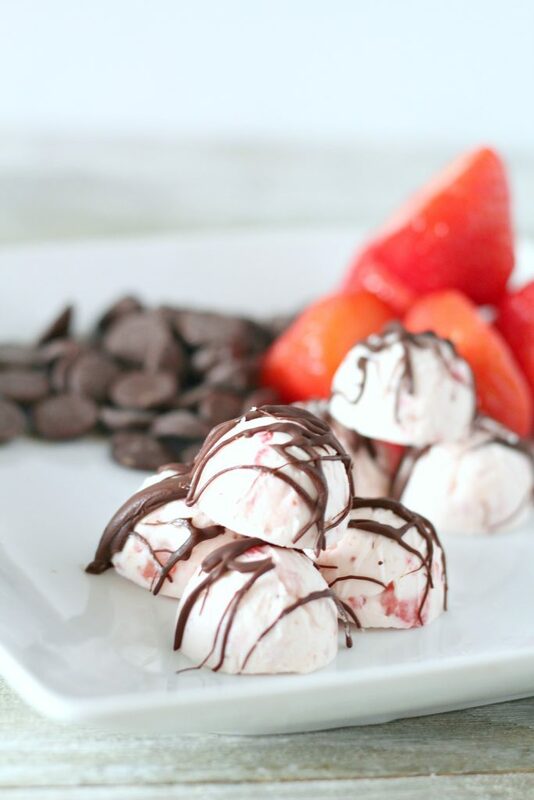 These Chocolate Covered Strawberry Fat Bombs look like they would definitely cure a sweet tooth! The perfect sweet treat especially for someone living the keto lifestyle. Thanks for sharing this recipe! Yes, you are so right! Thanks. Well, I definitely need fat bombs! Haha! This sounds like a tasty recipe. I will have to make it soon. I love that this recipe is keto friendly. I can’t wait to make this for my friends for girls night. I love fat bombs and these look amazing. I keep mine frozen as I like to take my time eating them! These look delicious! Although I’m not on a Keto diet, I went ahead and pinned them to try for Valentine’s Day. I need to make these asap. They look and sound so delicious! It seems like just about everyone is doing keto right now! 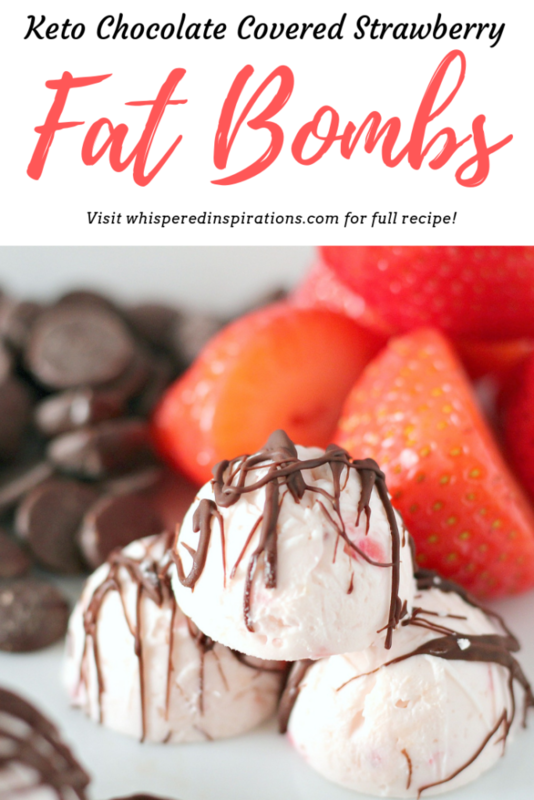 These fat bombs sound really good. Yes, it is a very popular diet right now. This delicious dessert has me drooling! These darling strawberries are perfect for brunch, party treats and Valentine’s Day. Yes, and helps keep you on track. Now these sound super yummy!! And I love that they are keto friendly…YUM!! 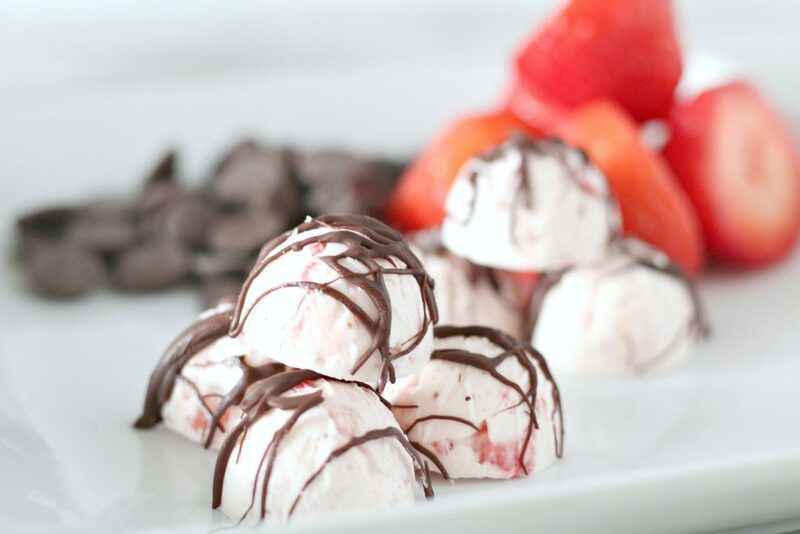 These strawberry fat bombs will be great to have on hand this week! I want to try these asap. These look incredible! ooh-yum!! These sound great! I am planning to start keto soon, so definitely going to make these! These are delicious — at least they appear to be! Worth checking it out sometime this weekend. Kids love sweets. Love the dessert and that is Keto, but the name……They look amazing, though!